Chef Bill Green had a lot of different jobs before discovering cooking. Now one of the foremost experts on Gullah cuisine, he uses only produce taken locally from the land and sea to create the traditional dishes he serves at his restaurant, Gullah Grub, on St. Helena Island. Grinding the corn. 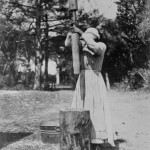 Rebecca Green near Penn School, 1907. 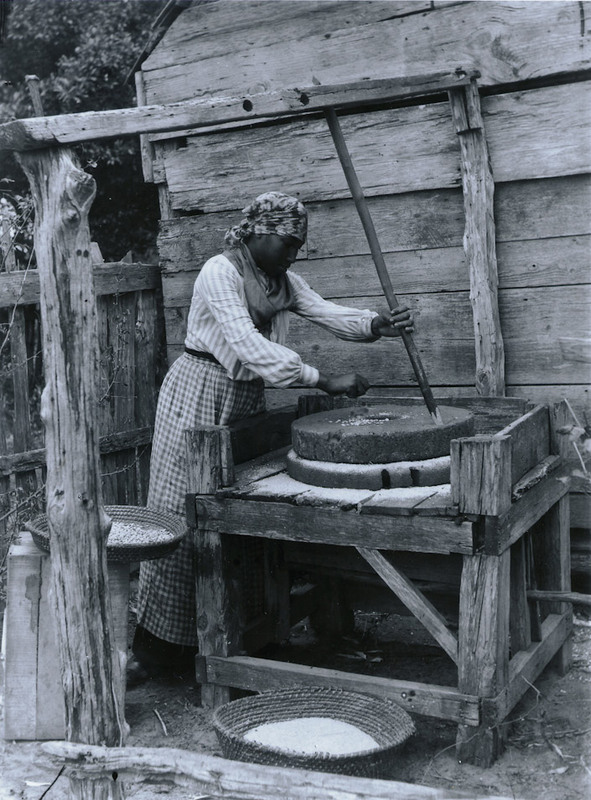 Corn was historically an important staple in the Gullah diet. 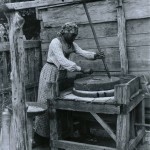 This photo shows the use of the traditional grinding wheel for corn. The ground corn in the basket below was used to make hominy. Photo 0933b in the Penn School Papers #3615, Southern Historical Collection, Wilson Library, University of North Carolina at Chapel Hill. 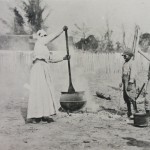 Using a mortar and pestle to grind grain. Another method of grinding grain was to use the mortar and pestle. 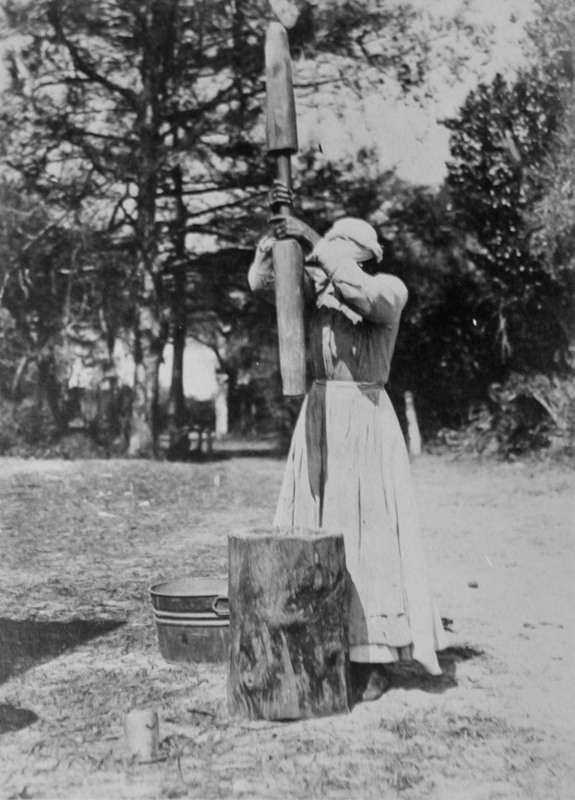 Here the mortar is a hollowed out tree trunk, and the pestle is a heavy, carved timber. A cornerstone of the education provided by the Penn Normal, Industrial and Agricultural School, was "learning for living and learning by doing." 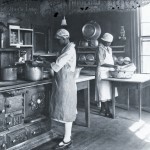 Cooking was taught alongside other skills on the grounds of the school. 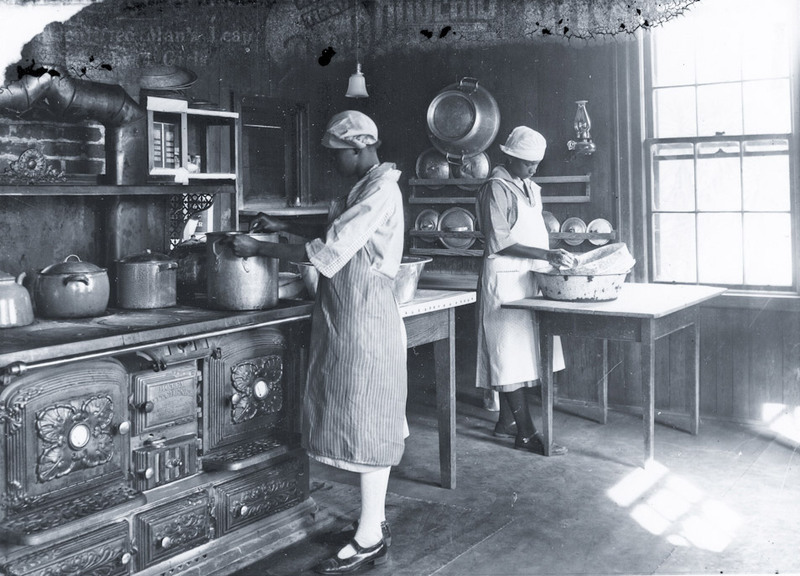 Canning was also an important food preserving skill taught by the School, and many families on the island today still can their own produce. Photo 0948b in the Penn School Papers #3615, Southern Historical Collection, Wilson Library, University of North Carolina at Chapel Hill. Stirring the pot with a young audience. 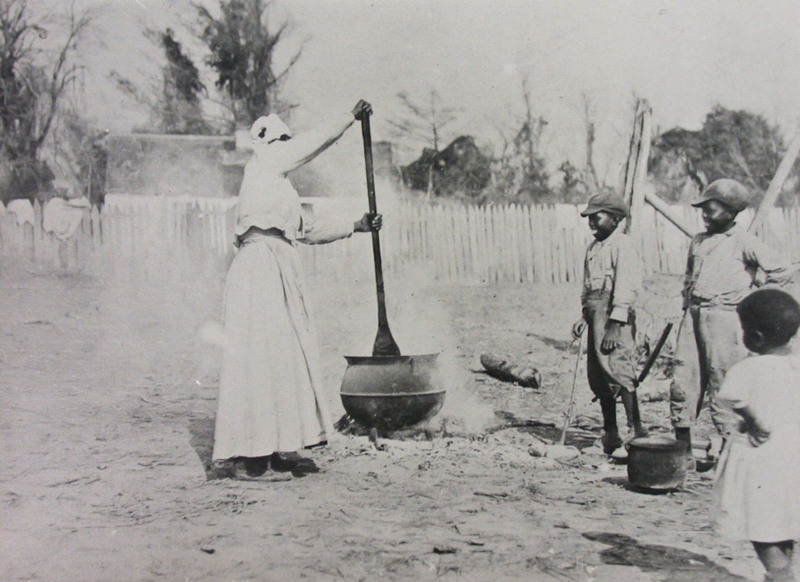 Traditionally, much of the cooking was done over an open fire in a kettle as seen in this photograph from the late 19th century in Georgetown County. The woman in the photograph is stirring the pot with a large paddle. People - 05, The Morgan Collection, Georgetown County Library.